Home » Interviews » Victòria Pagès: "The sense of community in Sub-Saharan Africa is developed, but there is still a need to articulate the defence of local interests "
Victòria Pagès is a member of Doctors Without Borders (MSF) and in recent years has been working on the ground in Central African Republic and in Guinea Bissau. 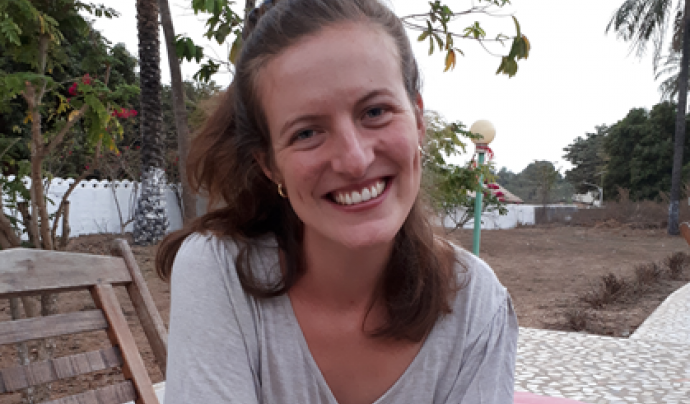 After developing a career in accounting and tax consultancy, one day she decided to totally change her career and submitted an application for an open selection process with MSF to work in Africa. In a flash, her life took an unexpected turn. Do you remember your first impression when you set foot in Africa to start this adventure? When stepping out of the plane, I felt a warm and humid environment. I remember the airport was extremely basic. I was nervous and also well alert, open to learn and discover how everything worked. And how did it work? What’s the daily life of someone expatriated to the African continent? It depends a lot on the tasks one develops and where one lives. 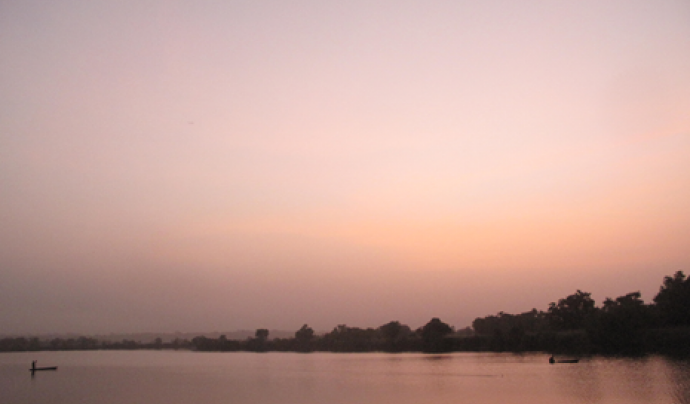 I have lived in Bangui, the capital of Central African Republic; and in Bafatá, a small inland city in Guinea Bissau. 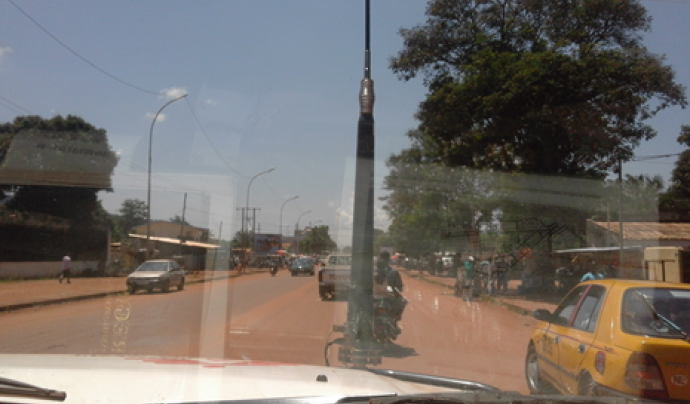 Central African Republic is living immersed in a conflict, and this meant we could only move around in a car and in very limited areas and times, which obviously has an effect on one’s life. However, life in Guinea Bissau, a country that is very safe and calm, was relaxed and allowed for total freedom and to move around freely. In these circumstances, you learn to live a simpler life, without so many products and such a large variety available, especially food, but also other products and materials. In these countries, tarmac, hot water and air conditioning are not guaranteed. First you arrived in Central African Republic. A country that has gone through a war that is still active in some parts. What was your task there? 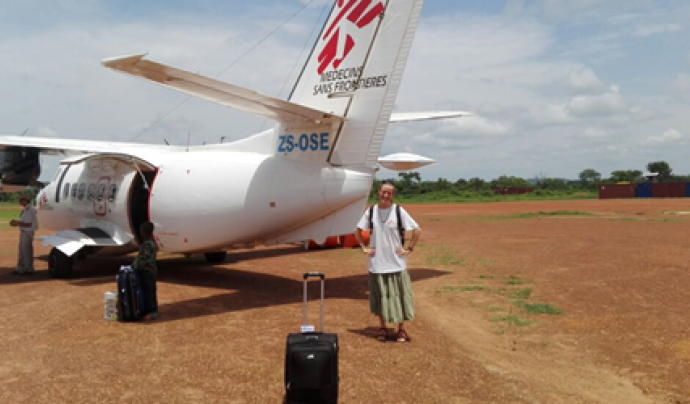 I was the deputy financial coordinator in Bangui, the capital. I reported to the financial coordinator and performed treasury management tasks, followed up on budgets, overseeing the accounting, tax payment, paying our suppliers and payroll. I was also in charge of supporting the projects in the country, as this is part of your job working in the capital. As there was an ongoing conflict in the country, very often there were emergencies to resolve, which meant everyone had to work. And then you moved to Guinea Bissau; were your tasks the same? No. In Guinea Bissau I no longer lived in the capital; I lived inland, working on a project where I combined the financial aspect with human resources. The financial part was quite similar to the that in CAR, but simpler (budgetary control, accounting, payments, taxes, etc.) and I combined this with human resources: hiring staff, payroll, labour law, disciplinary procedures and training. Guinea Bissau is one of the poorest countries in the world with a very high external debt and a strong dependency on foreign aid. What is the role of NGOs in this context? In a nutshell, I would say that the problem stems from the fact that the country’s institutions did not function with independence from power (within the framework o what is known as neopatrimonialism) added to the fact that they don’t have as many resources as in the Western world. This means that the role of NGOs cover some of the gaps in healthcare, education, agriculture, whatever is needed. It is also true that not all NGOs cover the gaps that institutions and ministries are not able to cover; many of them do a lot of work with local associations, promoting training and cooperation between different actors. Could we say that the role of NGOs is essential? Saying “essential” may be taking it too far; cooperation has a positive and lasting impact, but this depends on how it is done. In any case, what is true is that NGOs do a great job and make relevant contributions to the population. Let’s take healthcare, as an example. Humanitarian organizations have the important task of providing care and health, even save lives. But who sets a value for human lives or quality of life? Here is where the task of MSF gains legitimacy, because it helps to improve the health and mortality in the areas where it intervenes, while also doing advocacy. 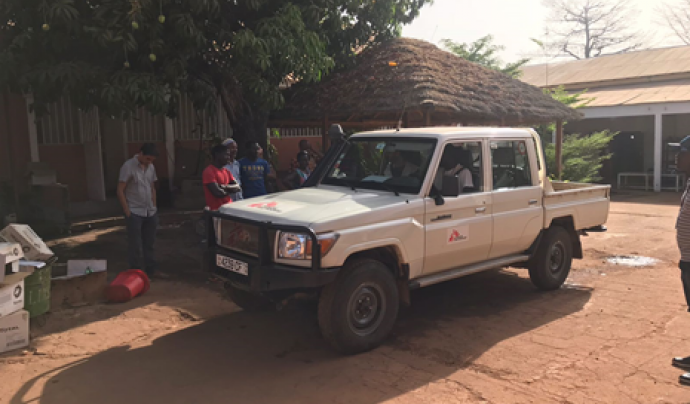 Their task must also include training staff and reaching agreements with the official institutions so that when MSF steps back, the loss of support isn’t felt too much among the population, because ultimately that’s who we protect. Do African countries have a rich social fabric? Yes, they do; in the shape of farmers’ associations, women’s organizations, trade, etc. But this varies a lot from one country to another, their history and the circumstances. I think it’s fair to say, for instance, that the social fabric in Guinea Bissau is much more developed than in the Central African Republic, although we’d probably need more formal data. 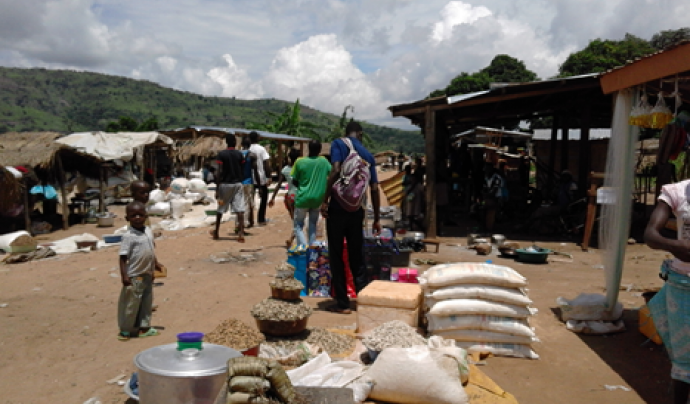 How do international NGOs interact with this local social fabric? It depends on the NGO and how they work. Larger organizations tend to work more independently and only reach agreements with the ministries or official institutions, while smaller NGOs with a more local approach do a lot more work with local associations. 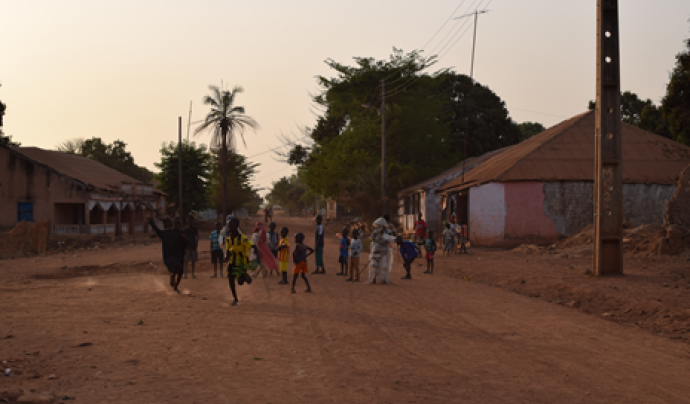 Based on your experience in Guinea Bissau and the Central African Republic, what would be needed to grow this local social fabric? In general, we should be able to listen a lot more, be more patient and do research to understand the context better, if we want to promote the associative movement from outside, as foreigners. It is also possible to do this from within. There are many African men and women with training and who are motivated. I thing the sense of community is fairly developed in most Sub-Saharan countries, but there is still a need to articulate the defence of local interests. But Africa is huge! Each country has its own way of doing things. Thanks to the Jane Goodall Institute in Catalonia and the Esperanza Project, the remote village of Sahoro improves its permanent access to water with the construction of a new well.